Self-love is a noun and is defined as regard for one's own happiness and well-being. It's chiefly considered as a desirable rather than a narcissistic characteristic. If you ask me was I always like this. No during my childhood I was introvert girl with low self esteem. For reasons which only I understand better now but for sure had got nothing to do with my skill sets but were based on my social- economic conditions and family history. Let's not go there in this post. So somewhere in that phase of my life, Self-Love became my defense mechanism and the only way to survive the harsh societal pressures. There were few people who misunderstood this self-love for arrogance but as much as I loved myself I never looked down upon anyone, so not sure why they misinterpreted me. Jumping a decade further in my life now when I am almost going to be 30 in less than 30 days. I feel Self-Love has become a part of my nature, thinking and attitude. If you ever hear me when I am happy I really praise myself for small and big achievements, without hurting anyone's sentiments off course. When I fail, I am miserably sad and make fun of my short comings and have the ability to smile at it after a while. I would be lying If i say I have never doubted or questioned my self- love. There have been times like when I put on weight, when I failed at job interviews, when my face was filled with acne, acne scars and so on. But the that period has been a very, very short span of time. Maybe it lasted for few minutes or few hours depending on criticality of the situation. But for most of the times I just love myself, to the extent my wallpaper on my cell phone is a picture of myself. I think I am not self obsessed because I don't believe- I am the best, I am the most beautiful or the most successful etc... I just strongly have faith in myself. I might not really be an extra ordinary person but I have the strength to put in efforts to make ordinary things come true. I may not be talented but I have the courage to learn and adapt new things/situations quickly. I might not be blessed with the silver spoon but I could make most of what I have. My skin might be scared but my soul isn't and definitely nothing in the world will stop me from loving myself and smile when I see my reflection in a mirror or a window pane ! This is so true and important for bloggers to remember! 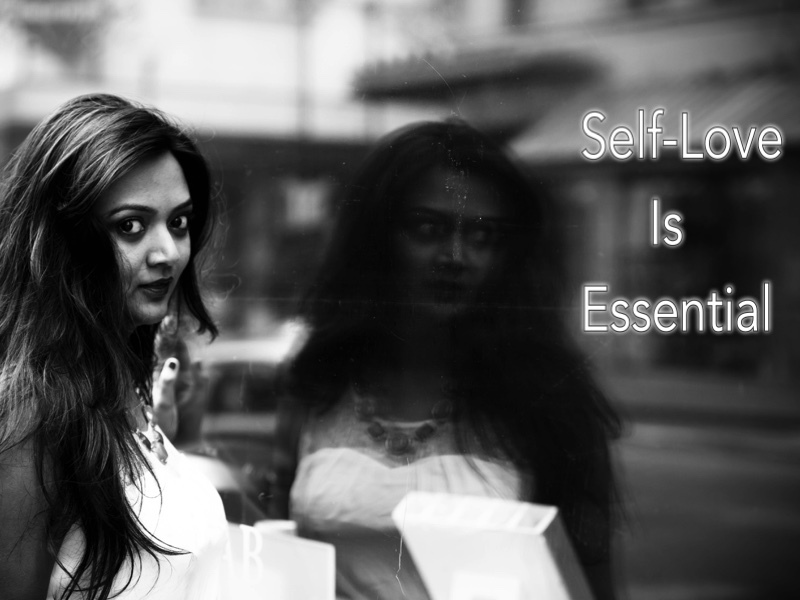 Nice post...i do believe Self love is more imp than anything else. Its always good to love yourself. A great Philosophy to live by. I believe in loving myself first and then, I can love others. A great post, Ananya. It's very important to love oneself. You are beautiful.....as always. I too try to embrace my flaws and love myself. Very true , nicely written. The best is when love fills you up and overflows to others. So you are right on spot! Thanks for sharing your powerful thought.. If you don't love yourself, how could you expect others to love you? Nice post indeed.